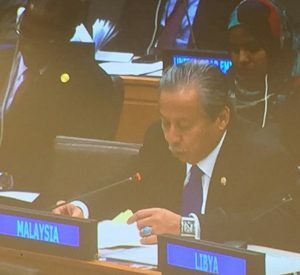 Anifah speaks out Malaysia’s concern at the OIC Annual Coordination Meeting on Friday night in New York. 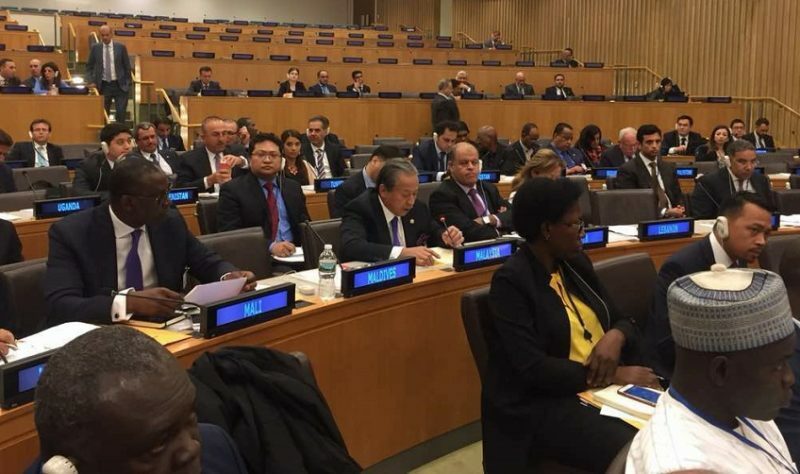 NEW YORK: Malaysia is gravely concerned at the indiscriminate violence perpetrated against the Rohingya in Rakhine State since late August 2017. 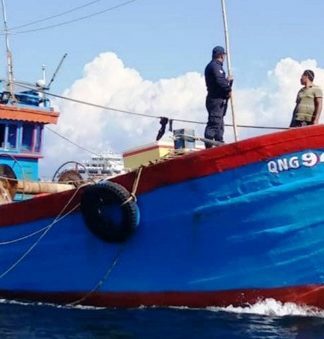 Anifah Aman, Malaysia’s Foreign Minister also said the violence has resulted in the tragic loss of countless innocent lives. 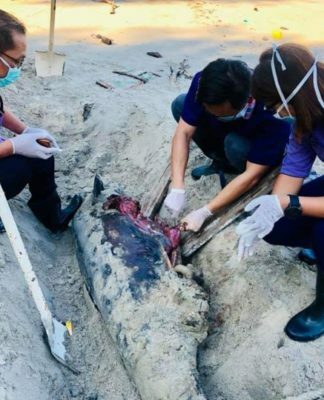 If the current situation is not addressed, Anifah pointed out these desperate people will become easy targets for recruitment and radicalisation by extremists. 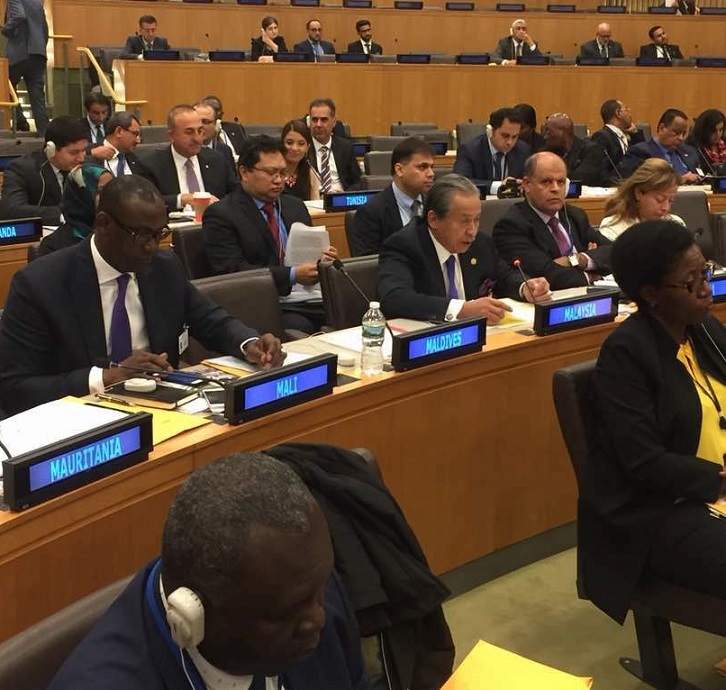 Anifah said this in his speech during the Annual Coordination Meeting of the Organisation of Islamic Cooperation (OIC) Foreign Ministers held on the sidelines of the 72nd Session of the United Nations General Assembly (UNGA) in New York, on Friday. A copy of his speech was released in Kota Kinabalu. He said such atrocities have unleashed a humanitarian crisis and caused more than 400,000 Rohingya to flee their homes and cross the border into Bangladesh. “I would like to take this opportunity to commend the noble efforts of Bangladesh to address the plight of the Rohingya. In this regard, I call upon all OIC Member States to continue to extend assistance to the Rohingya. On another note, Anifah said Malaysia is calling on the international community to abide by and uphold the principles of the United Nations (UN) and to treat Israel and others who commit crimes against humanity equally. He said the international community should not be silent on Israel while passionately taking on other regimes, stressing that the Palestinian people had the right to self-determination of to establish an independent and sovereign State of Palestine with Al-Quds Al-Sharif as its capital. The Foreign Minister said Malaysia commended the efforts undertaken by OIC member states, particularly its various contributions in support of the Palestinian cause under the Islamic Solidarity Fund (ISF). “Since 1976 until 2017, the total amount of contributions to support Palestine and its people has reached more than US$26mil (RM108mil). This reflects the commitment and steadfastness of the OIC and its member states in supporting the struggle of the Palestinian people,” he said. Anifah also said that while the OIC represents the voice of 1.6 billion Muslims worldwide, some parts of the Muslim world are embroiled in conflicts, and as such the people must be wary of the misguided ideology brought forth by the Daesh, in seeding extremism and militancy, that aims to poison our younger generation. “We must stand together in condemning the heinous and abhorrent acts of violence and terrorism in all its forms and manifestations. We must deny them sanctuary and resources in the global fight against the Daesh,” he added. As a founding member of the Organisation, Malaysia, Anifah said, believes in the noble objectives of the OIC, in contributing to international peace and security. 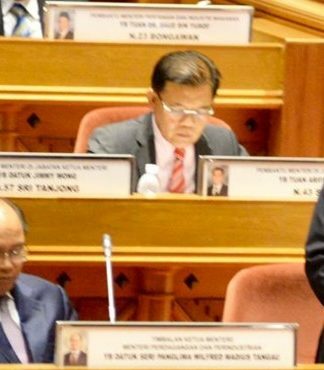 “In this connection, we will continue to play our role as the facilitator for the peace process in southern Thailand and southern Philippines,” Anifah added.